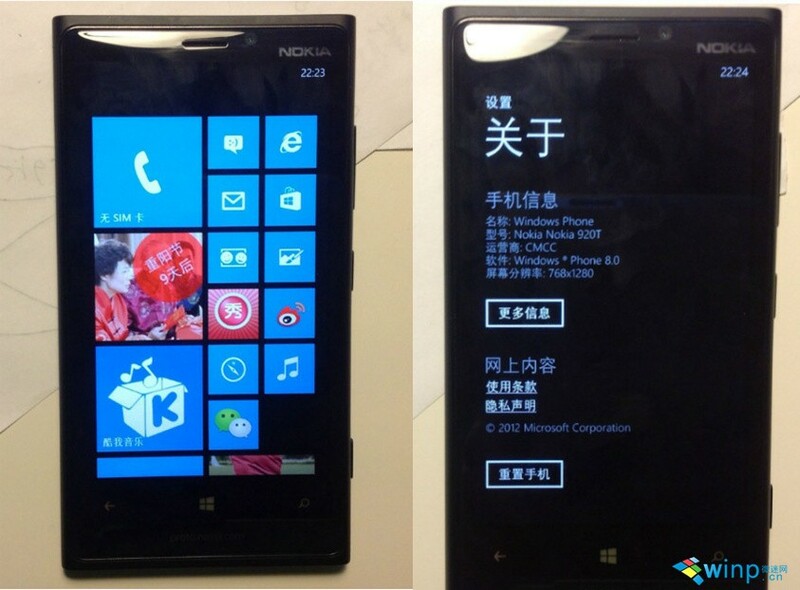 The Chinese blog Winp.cn, 3 days back, posted some leaked pictures of the China Mobile Version of the Nokia Lumia 920. Nokia China executive confirmed few months back that Nokia Lumia 920 will come to China through the largest carrier in the country China Mobile. It looks like Nokia will definitely leave a mark on the carrier earning the tag of the largest subscriber base in the world. The Chinese Variant of the Nokia Lumia 920 will have a Qualcomm MSM8690/8260A chip, designed with support for the China Mobile’s TD-SCDMA standard. The device is expected to go on sale from December with price range of 4888 Yuan. There is no firm info on whether the Nokia 920T will also support China Mobile's yet to be developed LTE network. In any case, LTE on board or not, having its top smartphone available to so many potential users is surely a good news for the Finnish company. 0 Respones to "Photos of Nokia Lumia 920 version for China Mobile leak"